It’s amazing that actresses today who strike Oscar gold with their first foray into film are immediately subject to the Oscar curse. This should not to be confused with the Oscar Love Curse – in which actresses from Vivian Leigh to Julia Roberts to Sandra Bullock win the little gold man of their cinematic dreams, only to lose their significant others in real life immediately after. No, I mean the Oscar curse where an actress hits paydirt her first time out and is relegated to terrible roles forever after. 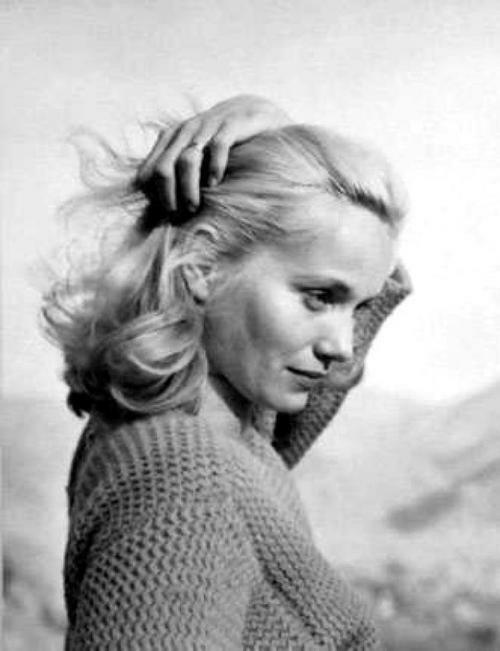 One classic beauty who defied this particular tinseltown superstition is the legendary Eva Marie Saint. 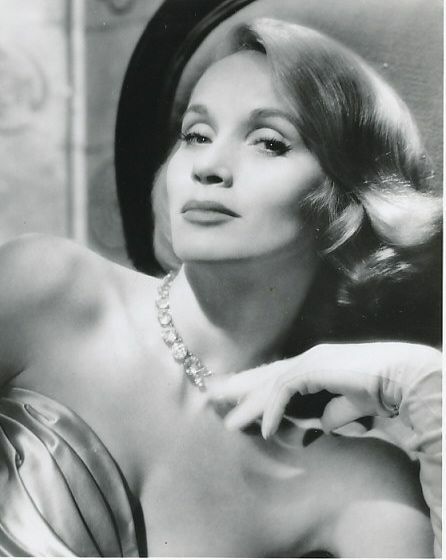 Eva Marie was a little known though already incredibly talented actress on Broadway and television when Elia Kazan cast her as Edie Doyle, Marlon Brando’s love interest in On The Waterfront (1954). The film was a tremendous hit – sending Brando into the stratosphere and taking Saint with him. 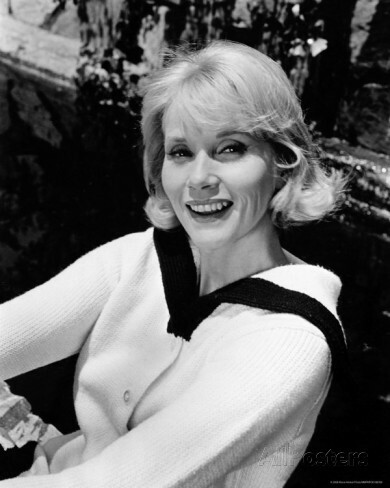 The breakout role for the beautiful blonde resulted in an Oscar for Best Supporting Actress. Eva Marie was crowned the latest Hollywood princess of cinema – with every director circling her for their film. But Eva Marie was smart and, in a town that eats their own on a regular basis, chose her directors and her roles wisely. On the Waterfront showed the diminutive blonde as a naive though curious young woman who had little experience with men – let alone the domineering and larger than life presence of Brando. Maybe that’s what was so refreshing about her – she was able to keep her head amidst the carnage of Kazan’s black & white world. Saint’s performance was the perfect contrast to the rest of the film’s cynical world view. She stood out as pure and unaffected. It was a performance that deserved the Oscar, so the pressure was on for Eva Marie to find roles that would not typecast her – even at a time when so many actresses were interchangeable. To understand the role is to understand how acting as an art was changing in Hollywood. Eva Marie was part of a new breed of realism. She was able to convey a vulnerability without being weak at a time when women were still constrained in the “50’s mentality” of what a woman’s role was. That’s why I loved her next huge hit and the one that introduced me to her. Of course, I’m talking about Alfred Hitchcock’s North by Northwest (1959). In choosing Saint, Hitch was to transform Eva Marie from her trademark sweet, naive blonde persona into a femme fatale. Always the obsessive-compulsive auteur, Hitchcock literally took the scissors and cut Saint’s locks. It was a gamble that turned Saint into a sophisticated, world-weary spy who is able to control men in the dangerous world of espionage. Playing opposite the dapper and always glamorous Cary Grant, Eva Marie more than held her own in Hitchcock’s suspense classic. The performance was controlled and masterful. It was sophisticated and modern to have a woman so capable of holding her own – a realism that was rare for film of the day and set a tone that would be as influential to the spy genre as On The Waterfront had been for crime dramas. And all the while, Saint captivated audiences with that beautiful face that only let you see what she wanted you to see – until the end. 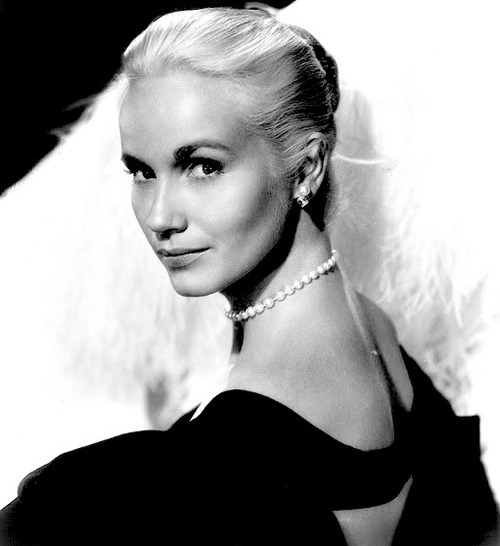 Eva Marie’s role in North was a revelation to many who had remembered her as the diminutive blonde in Waterfront. She had matured as an actress between 1954 and ’59 and audiences knew it was no accident she had received the Oscar nearly a decade before. But to her credit, Eva Marie was more interested in spending time with her family than being in the Hollywood limelight. Her marriage to Jeffrey Hayden (1951) is one of the most enduring in Hollywood, largely because Eva Marie put her marriage and her two children first before her career. So, in a way she eluded both the Oscar curse of work and marriage falling apart, post winning her gold statuette. Now, at age 90, Eva Marie is still very active in Hollywood. 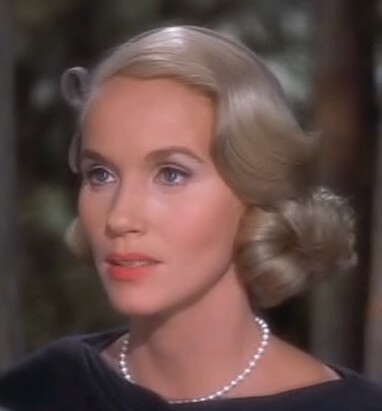 While her roles have been sporadic over the intervening decades since North By Northwest, Saint has been nominated for Emmy’s in standout television roles. And as Oscar royalty, she’s been active in the Academy of Motion Pictures Arts & Sciences. Eva Marie is a judge in the prestigious Nicholl Fellowships for Screenwriting – the single-biggest amateur screenwriting award that gives aspiring scribes the opportunity to break into show business with their cinematic dream projects. Many a newbie screenwriter has been blessed with meeting Eva Marie at the annual Finalist dinner and Awards in early November. What a treat it would be to meet the legend in person! 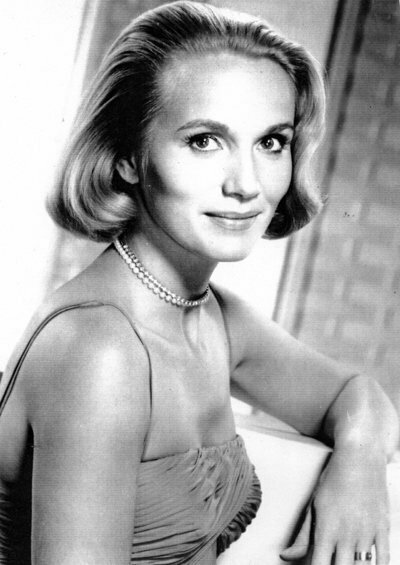 Eva Marie Saint is one of Hollywood’s greatest success stories. She is one of the few that has TWO Stars on the Hollywood Walk of Fame – both for her film and television work. Makes you wish more actors were as down to earth, generous and inspirational as her. And it makes you wonder if Hollywood’s biggest stars of the day will still be around – and still so inspirational – when they’re in their 90’s. Seems like the industry has changed too much for that to be possible. Then again, Eva Marie called her own shots back when it really was an old-boy’s club. Here’s to Eva Marie, one of the most gorgeous and talented actresses of Hollywood. Oscar royalty who never looked down on anybody, but instead used her talent and compassion to lift them up. If you haven’t seen On The Waterfront and North By Northwest then rent them as soon as you can. And for a different film experience altogether, watch Eva Marie in Raintree Country (1957), 36 Hours (1965), and the formidable A Hatful of Rain (1957) one of the first Hollywood movies to tackle drug addiction. Well deserved tribute! I think she’s awesome and yet she seemed underrated. I loved her in On the Waterfront. Thanks. Pleased to have found your blog. I’ll explore further. EMS such a classy lady with talent to burn! Regards from Thom at the immortal jukebox (plugged in and ready to play).